Keeping the peripheral train moving along here at Enos Tech (we actually have big plans behinds all of these peripheral reviews so stay tuned) we have our first product for review from the folks at Ozone Gaming. 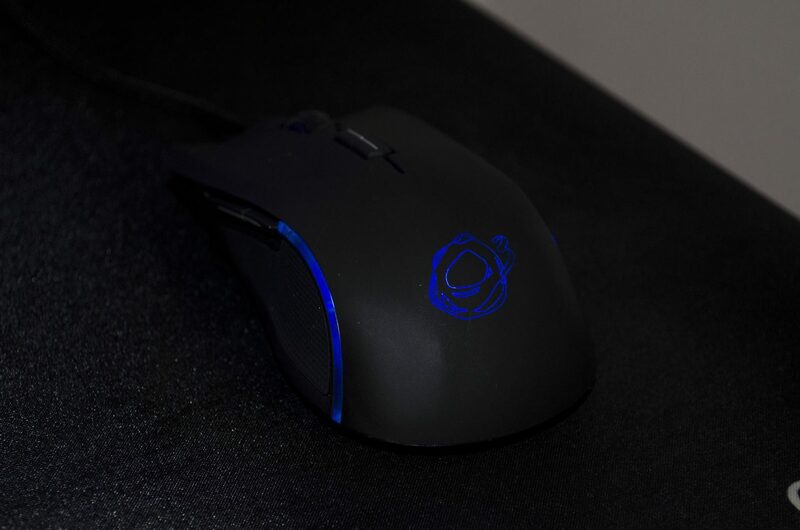 Ozone Gaming was kind enough to send in their Argon Advanced Pro Gaming Mouse which is an ambidextrous mouse that also features some RGB LED lighting. Ozone Gaming may not be as well known to all of you but they are definitely known in the Esports world, sponsoring their own teams and even working with Pro Gamer ocelote on some of their products. ocelote is well-known for his League of Legends gameplay, even having been banned from Riot in the past for said toxic behaviour. Either way, Ozone Gaming has a great lineup of peripherals, so dive into their Argon Advanced Pro. 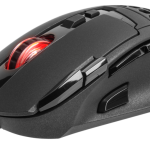 As mentioned, the Argon Advanced Pro is an ambidextrous gaming mouse equipped with RGB LEDs. It also comes backed with an 8200 DPI laser sensor, Omron switches, and removable weights to give it that pro-gaming look and feel. 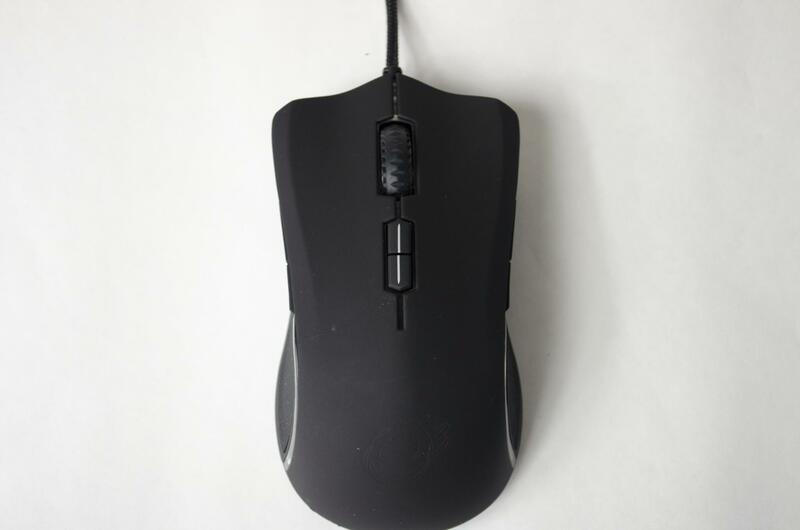 The ambidextrous design makes this a great choice for most any gamer though I would have to say I think this is best suited for FPS players or those who don’t need many buttons on their mouse, as there simply just aren’t that many buttons on it. 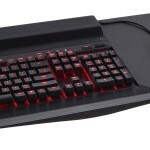 The inclusion of the forward and backwards buttons on either side allow users to make use of four extra buttons and do give the Argon Advanced Pro Gaming Mouse a true ambidextrous feel. There’s no denying it looks quite nice on paper but does it hold up in real-world performance? Well, let’s take a quick look at the specifications and get into the closer look and work our way to finding out. The box that it comes packaged in features a black/red theme and feels very sturdy, meaning it won’t get crushed during transit. On the front of the box is a nice image of the mouse, as well as some of the main features highlighted in the bottom right corner. Switching to the back of the box and we can get a more detailed look, including a brief description on what some of the buttons are pre-programed to do. If you’re not a fan of the preset binds, worry not as it does come with software that will allow you to set the buttons to your desired preference. 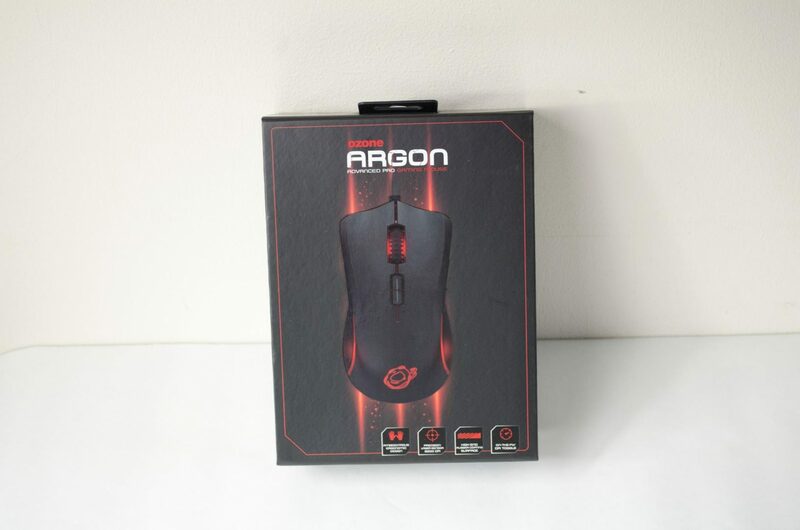 The front of the box is actually a flap that you can lift up which reveals our first look at the Argon Advance Pro Gaming Mouse. 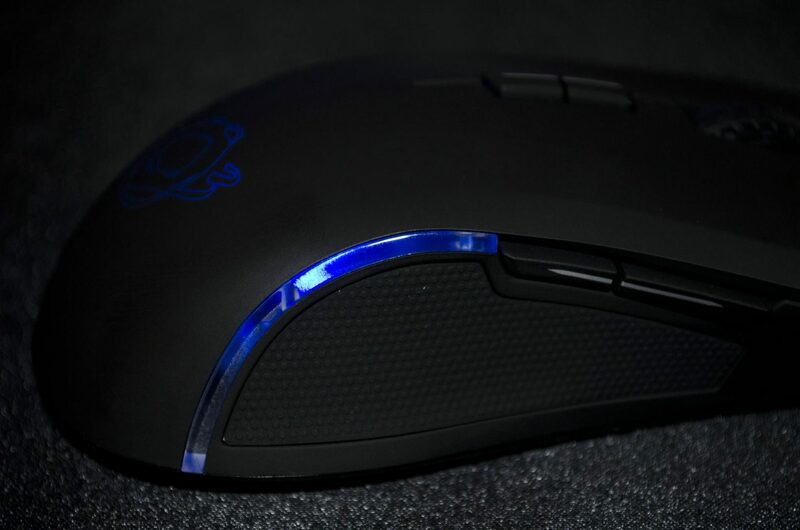 Getting our first proper look at the mouse outside of its cage and we can see it features an anti-slip rubber coating, which will definitely come in handy for those longer game sessions. 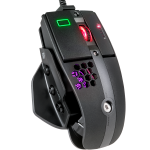 Not only is it comfortable to hold, but if you start sweating in the heat of battle, your won’t have to worry about the mouse slipping out of your hand at the wrong moment. 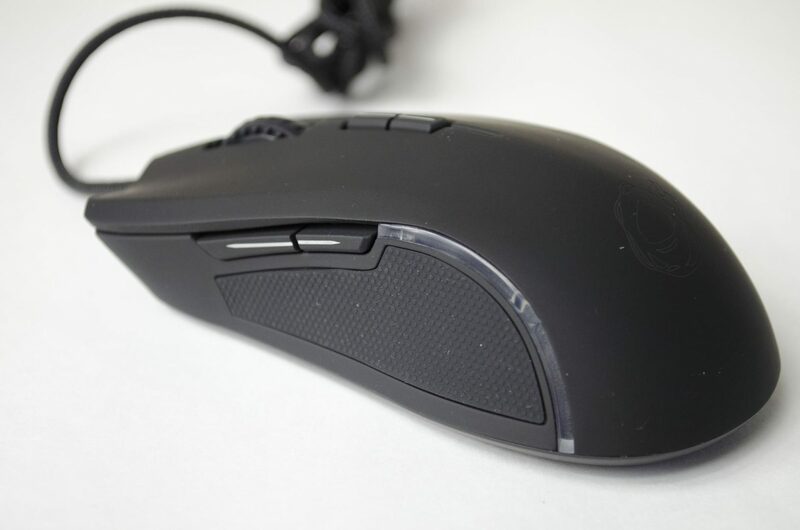 From this angle, we can see left and right, or mouse 1/2 the scroll wheel which is the mouse 3 button and then the little buttons below the mouse wheel, buttons 4/5 are designed for changing the DPI on the fly. 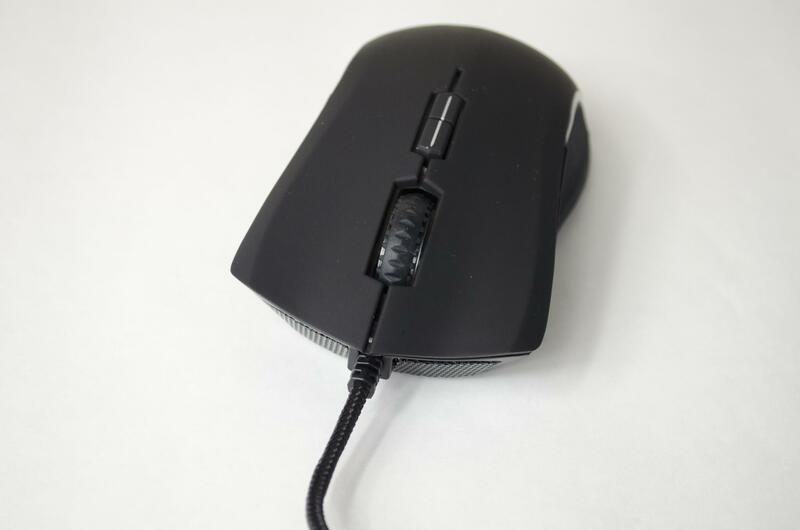 Allowing users the control to change DPI on the fly is a very important feature found in ALL gaming mice in this day and age and is a necessity for any serious gamer. 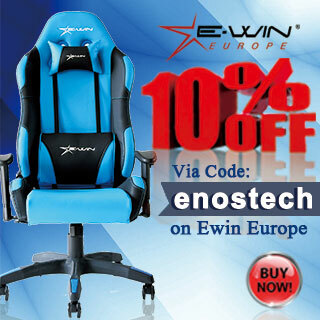 Looking at the left and right click buttons, you can also notice how there is a bit of a curvature to them which helps to allow you fingers to freely fall into a more comfortable position, one that won’t have your fingers slipping off the buttons. On either side of the mouse are two buttons, normally representing the forward/backwards buttons. A lot of times we only see these on one side, but in order to have a true ambidextrous mouse, they needed to be on both side some job well-done to Ozone Gaming for incorporating this. 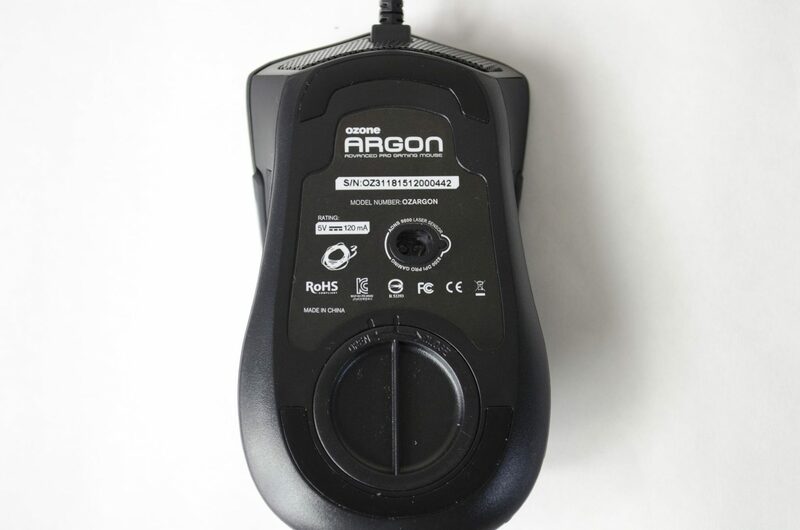 While all the buttons on the Argon can be reprogrammed, the forward/backwards buttons have become the pinnacle of side mouse buttons and rightfully so. 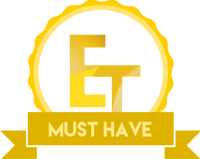 These buttons can make simple tasks like navigating folder or web browsers just that much more easy and saving you precious seconds of time. 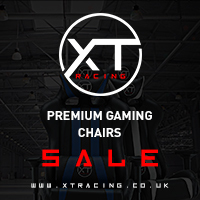 You will also notice how the side has extra grips to make sure you don’t loose grip of the Argon during those heated gaming sessions. 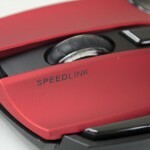 Turning the mouse on its back, we can take a look at the 8,200 DPI laser sensor. 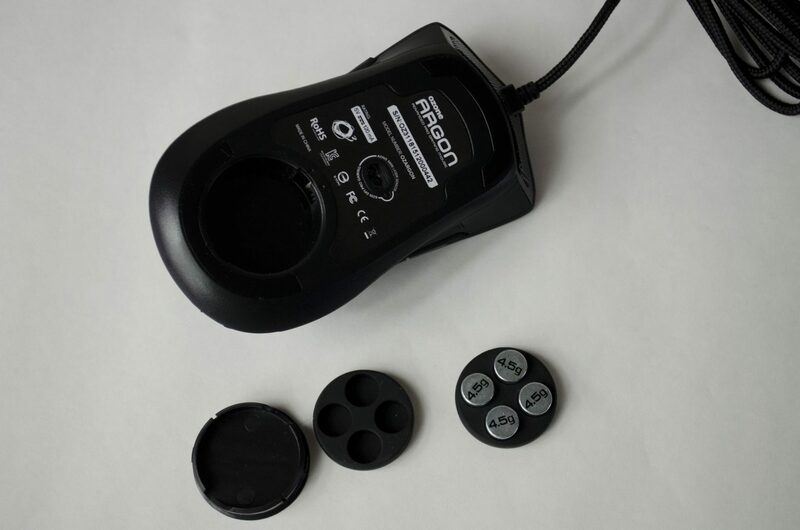 There is also a small turn knob that will allow you to open the mouse up and make use of the removable weights. 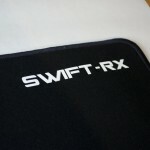 These weights can help make the mouse heavier for those that like a bit more resistance when moving it across the mouse mat, or for those who like it light as can be, you can simply leave them out. There is a spare weight holder so you can easily change them out back and forth if need be. Each weight weighs 4.5G so you can add up to 18G of extra weight if need be. The weights also come with their own little carry pouch so you don’t have to worry about losing them as they are quite small. 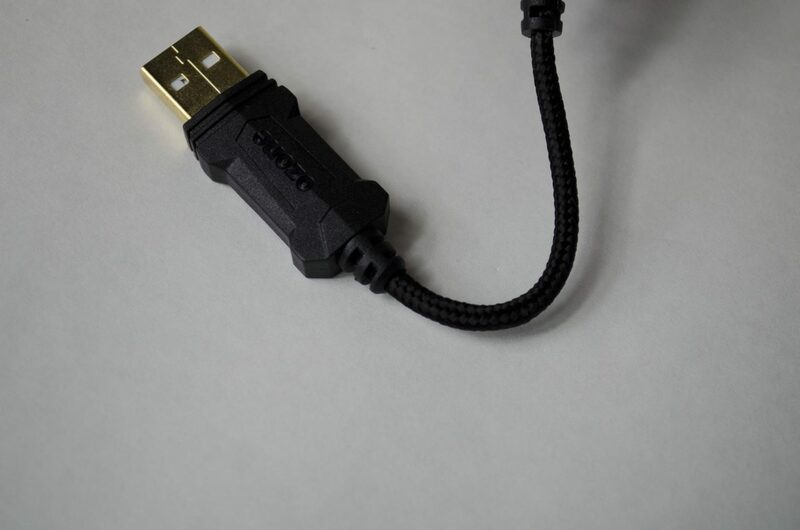 The cable for the Argon Advanced Pro is braided and features a very durable plug end which will hopefully last a good while. 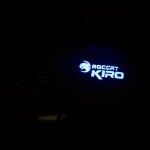 There are some RGB LEDs inside the Argon that can be controlled VIA the easily downloaded software. These add a bit of a fun aspect to the mouse and at the end of the day, allow for a bit more customization which is always a good thing. 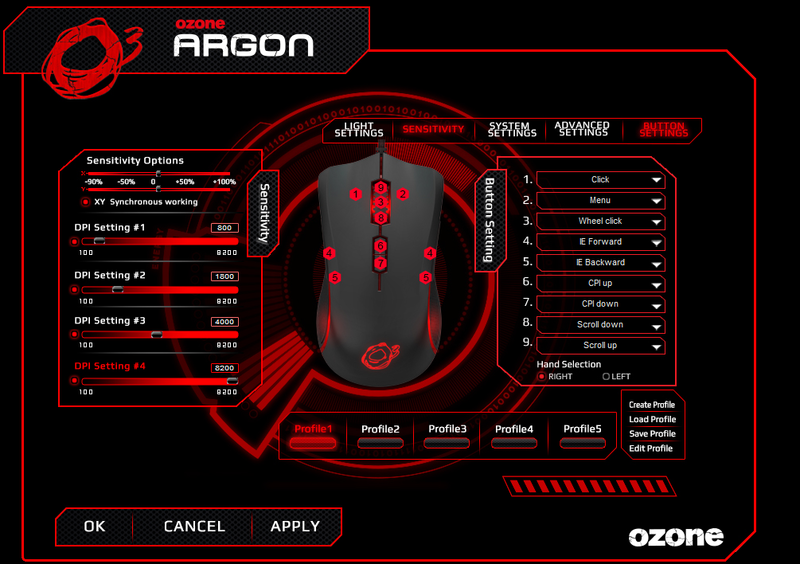 The Software for the Ozone Argon is pretty extensive and should have most of the features one would need to customize the mouse to their own individual liking. First up, we have the light settings, or, LED settings. 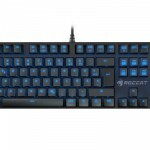 This will allow you to change the colour of the LEDs on the Argon and also adjust the brightness and breathing effect. One thing that would have been nice to see is a way to have the LED of the logo and the other LEDs different colours. Next up, the sensitivity. Not only will this allow you to change the all four of the DPI settings, you can also change how the X and Y axis’ react to each other, which is something I would personally recommend leaving alone if you’re unsure about it. The System settings allow you to change things like the double click and windows pointer speeds. You can also adjust the mouse wheel speeds which is nice and can be a great feature to be able to customize depending on your individual needs. For the advanced settings, Ozone has allowed users to change the polling rate between 125/250/500 and 1000HZ as well as being able to change the On-To-Go speed which seems similar to a response rate maybe. Last but not least, we have the button settings or binds. Using this option will allow you to change the primary function of any and every button on the mouse. 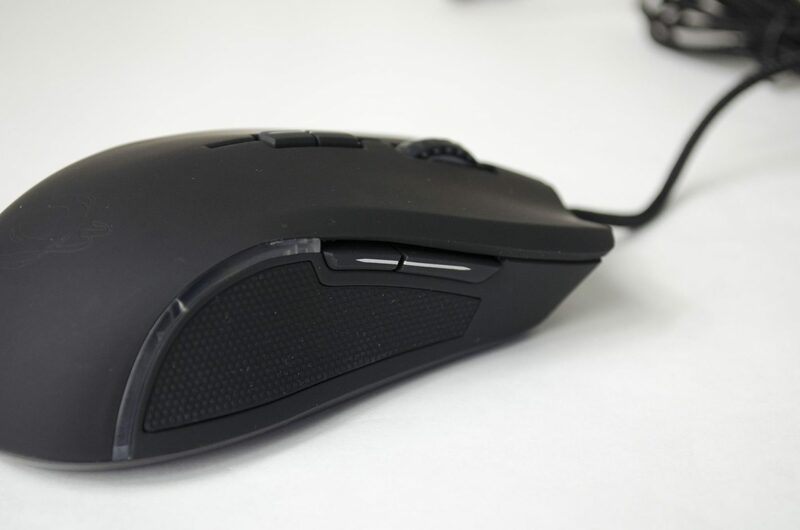 While I am personally a big fan of leaving this as standard and binding them in game, this can be a major factor for some when choosing a new mouse so is nice to see. You can also let the mouse know if you are right or left handed which is cool. Below the button settings you can also create and manage numerous profiles so if you want to set things up different for certain games, you can with ease. The overall performance of the Ozone Argon was very good. 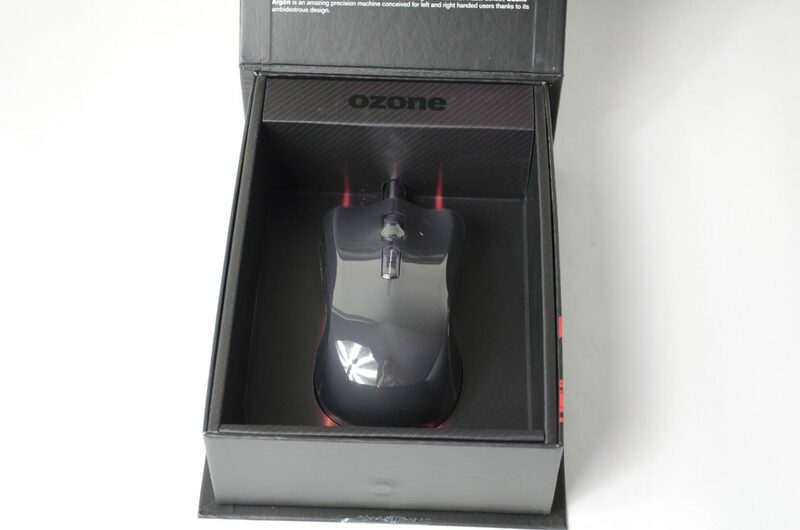 While I know it is a professional gaming mouse, I had never previously had the chance to test an Ozone product so was unsure of what to expect. It immediately had two things going for it with it’s 8,200 DPI laser sensor, as that is what I am used to using on my daily mouse. Also, the Omron switches are known for being one of, if not the best switch to use for the mouse 1 and 2 buttons. When it comes to testing a mouse, I normally try to test it at its highest DPI for long as I can, as I feel this gives a true feel for the mouse as the sensitivity can be adjusted in game. The tracking and precision of the sensor seemed to be great, as you would expect from such a mouse. I never felt as if it was lagging behind, or trying to judge where I might move it next. Overall, it seemed to do a great job and was a pleasure to use in FPS games as that is what I primarily tested it with. 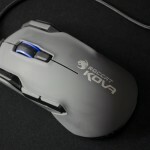 When all was said and done, the Ozone Argon left me feeling like I had proper control of it and not only was it comfortable to use, it was accurate as well which is probably one of the most important features a professional gaming mouse can have. 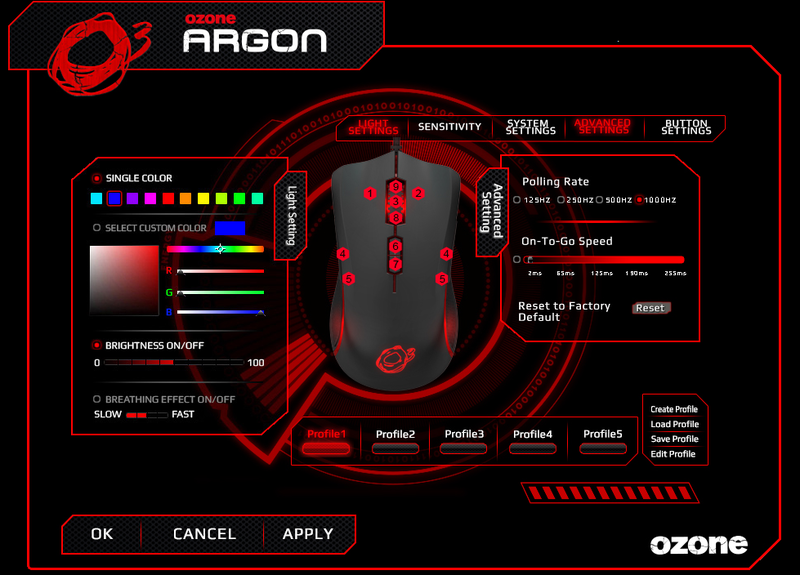 I think it’s fair to say the Ozone Argon is a good mouse. But does well really cut it when it comes to a professional gaming product? In my opinion, yes it does. 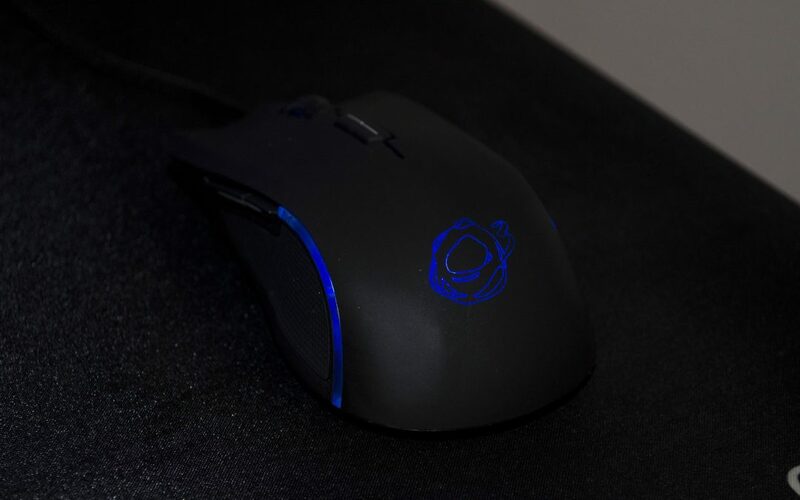 The Ozone Argon may not be the most feature-rich mouse on the market, but what it does have to offer is great and well worth considering if you’re in the market for a new mouse. So, let’s recap this bad boy up and see how it stacks up! Thanks to its 8,200 DPI laser sensor, the Ozone Argon offers some great performance as far as tracking and precision are concerned and in general, really. During all of my testing, whether it be BF4, Quake Live or CS:GO, the Ozone Argon didn’t let me down, not one bit. I had proper control over where the cursor was at all times, which is all you can really ask for from a mouse. As mentioned, the software can also allow users who need to tweak a few things to get their preferred settings which are always nice and not everyone games the same. One thing that was a nice addition is not only is the Argon ambidextrous, it is truly ambidextrous and has the same extra buttons on each side. These buttons can be set to a number of features and will definitely come in handy to help your gaming experience out and to hopefully give you the upper hand over your enemy. 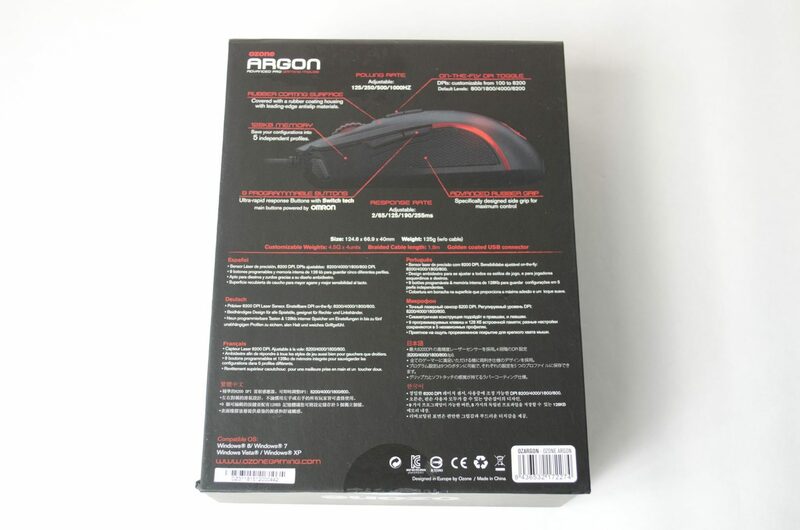 The design of the Argon is one I am personally quite fond off as I love me a good ambidextrous mouse. 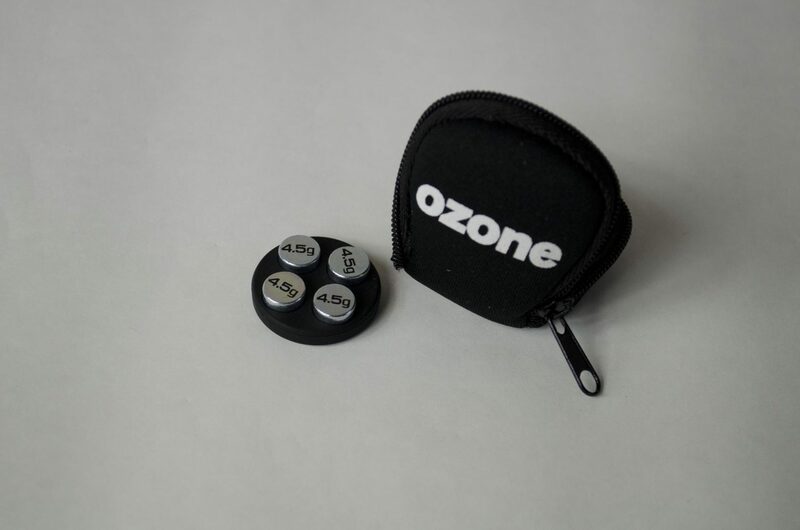 Ozone even took it one step further and not only made the shape ambidextrous, they even added the same buttons on each side, something not a lot of other ambidextrous mice can say. 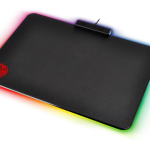 The black anti-slip coating that covers the mouse works a treat and the extra added grips on the side to make sure you don’t let the mouse slip out of your hand in battle are warmly welcomed. The mouse also should be fairly comfortable for most grip types which can be a bit selling point, I’m somewhere between a fingertip and palm gripper and it fits great in my hands. 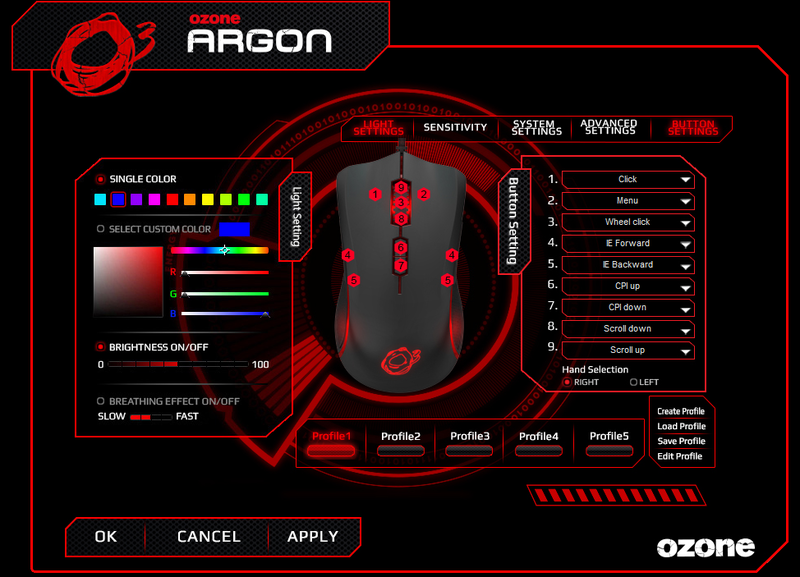 Coming in at £42 here in the UK, the Ozone Argon offers great value and performance for the price. Not only do you get a fully ambidextrous mouse, it also comes with a nice bit of software that will allow you to customize it and get it all set up to your exact preferences. Also, let us not forget that this mouse does perform extremely well and the sensor found in it works great. I am still not 100% what sensor it is, but it is a nice 8,200 DPI laser sensor that is for sure. The inclusion of RGB LEDs will also allow users that extra feel of customizability and personalization which is almost just as important as the performance in some scenarios. 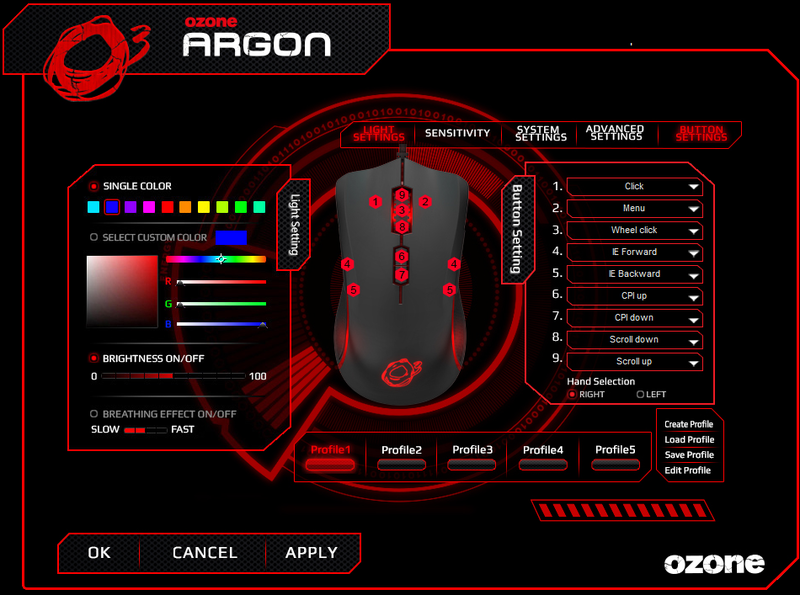 Ozone have done a great job with their Argon mouse and it truly does show! 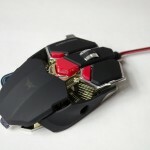 If you are in the market for a new ambidextrous gaming mouse, this is definitely one to consider! 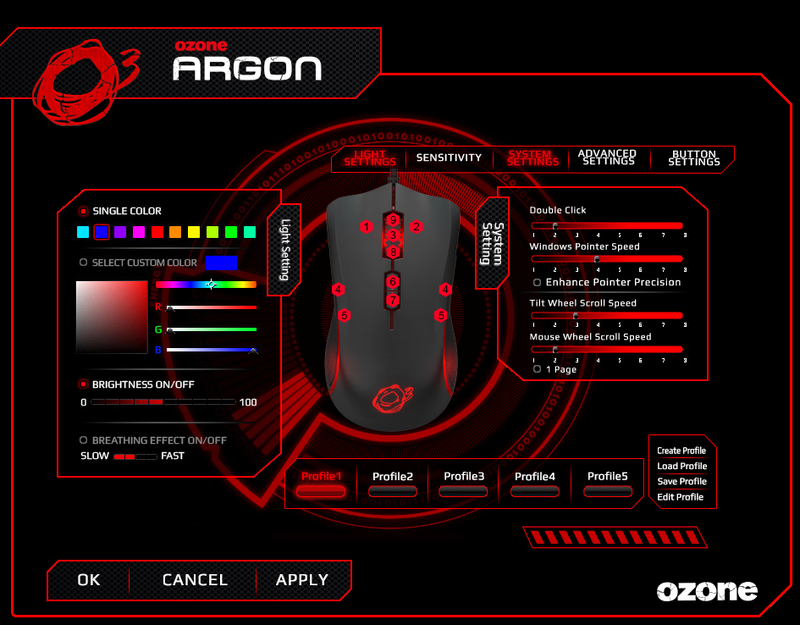 Major thanks to Ozone for sending in their Argon Advanced Pro Gaming Mouse, I how to see more from them in the future.